Pat is MD of Local Power Ltd and joint Chair of MREF the Micro Renewable Energy Federation. He is involved in helping business sustainably reduce their energy costs using renewable and innovative smart technologies. Hi company Local Power Ltd specializes in roof top solar and battery storage for self consumption, LED retrofits and intelligent building management solutions. In his previous roles with The Irish Farmers Association Pat was one of the early movers to buy renewable energy at a discounted rate for farmers when the electricity market was first deregulated. As former GS and CEO of the IFA he has extensive knowledge of Agri business, farming and community engagement and has established many Farmer related businesses over the years including IFA Telecom and Agri- Aware . Pat has served on many and diverse boards and has successfully represented Irish Farmers at the highest political and business level at home and abroad. Pat is B. Ag. Sc and holds a Certificate in Directorship with the IOD and a diploma in Accounting and Finance with the ACCA. 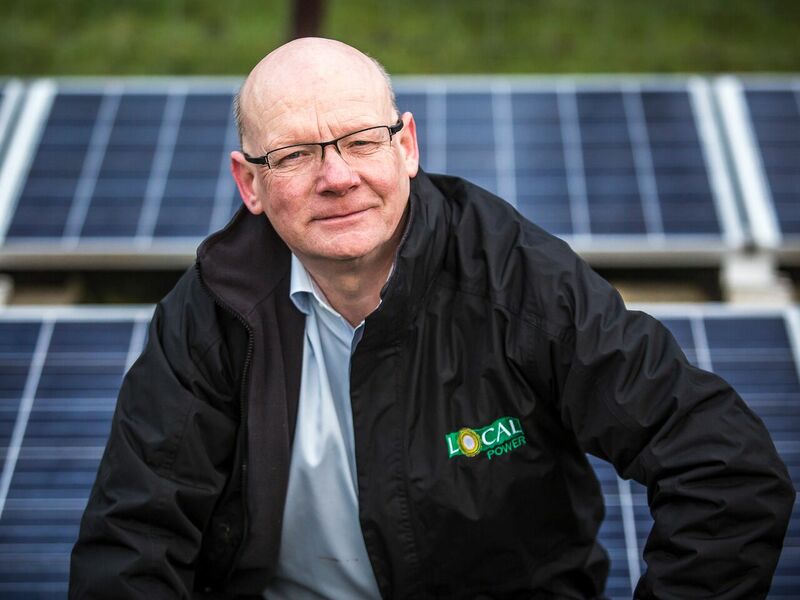 Pat will speak on how solar combined with battery storage is going to be a major disruptor in the energy supply market and how farming, business and homes can assist and be assisted to help the country meet its climate change targets. He will also show how using IoT and wireless technologies it’s possible to reduces energy bills significantly.